MW: What was your inspiration for the book? 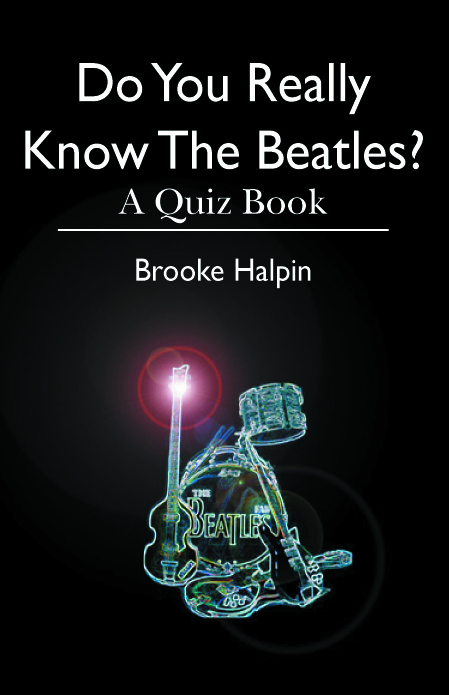 BH: I have all this information about the Beatles in my head and thought it would be fun to get the information down into a book with hopes that some of the millions of Beatles lovers will take the challenge and try to answer the questions correctly. MW: How long did it take you to gather all the information and come up with so many questions? BH: It didn’t take long at all because the information was already in my head. It was just a matter of tapping into the Beatle part of my brain, which is dominant, and writing them down. MW: Why did you choose the Beatles for your book? BH: Because I know more about them than any other musical group. MW: When did you first discover the Beatles’ music? What kind of an impact did they have on your life? BH: I discovered The Beatles early February, 1964. They had a tremendous impact on me and they still do. When I first saw them on the Ed Sullivan Show, I instantly wanted to be a Beatle. I was knocked out by their music, their energy, their look, the chemistry between them and their voices. MW: What are you hoping to accomplish with the publication of this book? BH: I want to inform people about the Beatles with hopes that they will learn a thing or two about them. MW: Which is your favorite chapter in the book? BH: I love them all but especially The Paul McCartney Death Hoax because it’s like a game, discovering so many clues. The death hoax is quite intriguing. It’s also a brilliant, creative marketing technique. MW: What was the most rewarding aspect for you in writing this? BH: Reliving and recounting all the information that’s in the book, not including the questions about John and George’s death. MW: Why should people buy this book? BH: Because they love the Beatles and they want to find out if they can answer all the questions correctly. MW: Tell me about you meeting John Lennon at his birthday party. BH: I cant. You’ll have to read about it in my next book. MW: Who is your favorite Beatle? BH: Pete Best, only kidding! MW: What do you think the Beatles largest contribution to the world of music is? BH: Their amazing music and their ability to reinvent themselves and perpetuate their timeless appeal to people of all ages. From the heart of a true Beatles fanatic, this book is a fitting tribute to the Fab Four and a testament of their lasting impact and influence on music and the world itself. To purchase Booke’s book, please follow this link.